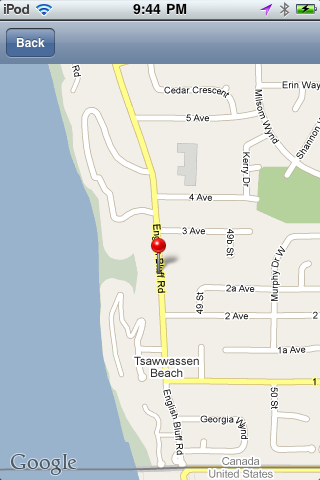 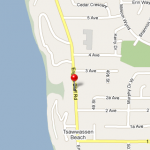 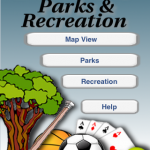 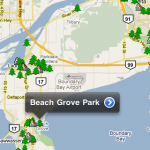 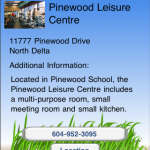 Delta BC's Parks and Recreation information at your fingertips! 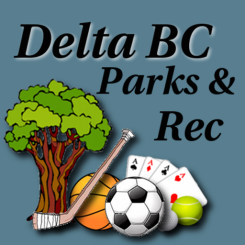 The Delta BC Parks and Reaction app provides information on the parks and recreational facilities available in the Corporation of Delta, British Columbia. 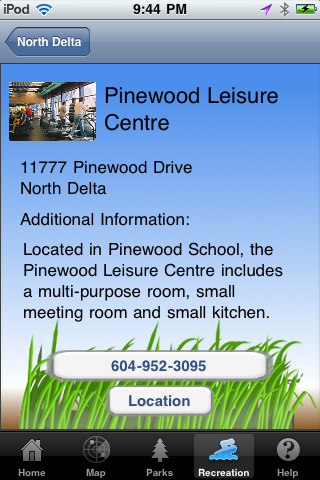 Delta BC’s Parks and Recreation information at your fingertips! 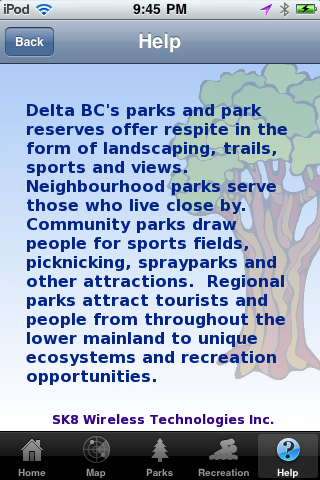 The Delta BC Parks and Reaction app provides information on the parks and recreational facilities available in the Corporation of Delta, British Columbia. 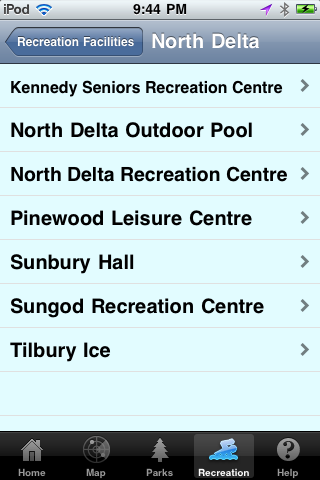 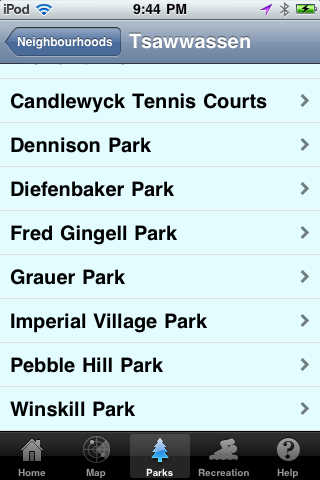 The listings of all parks and recreation facilities are organized by facility/park and neighbourhood. 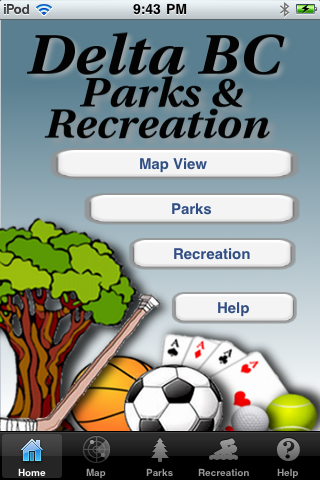 All parks and facilities are also graphically displayed on an interactive map of the city. 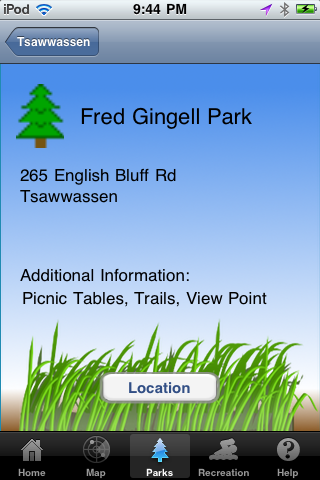 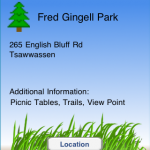 Each individual listing includes address, phone number with one touch dialling, location on map, and any additional information available, such as if the park includes picnic tables, sports fields, etc. 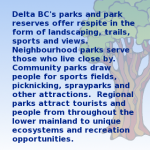 This application is not affiliated with Corporation of Delta, BC or any other organization.